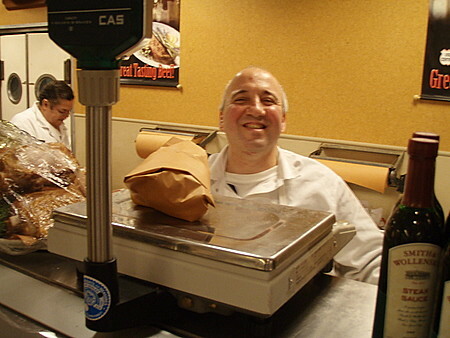 August 8th 2007: As to be expected, Cafasso’s Fairway Market in Fort Lee has filed suit against NYC/Manhattan’s Fairway Market. I’ve decided to bump up the Fairway Market post for everyone’s reference due to the timing of the litigation. Recently, North Jersey was made aware that the famed Fairway Market gourmet supermarket chain from New York City was going to be opening a store in Paramus’s Fashion Center in 2008 — and there was much rejoicing from the Bridge and Tunnel crowd, myself included. 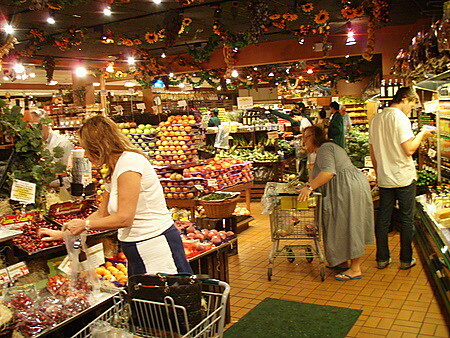 However, North Jersey has had a “Fairway Market” for decades, even prior to the existence of the more famous NYC chain to which it has no relation. 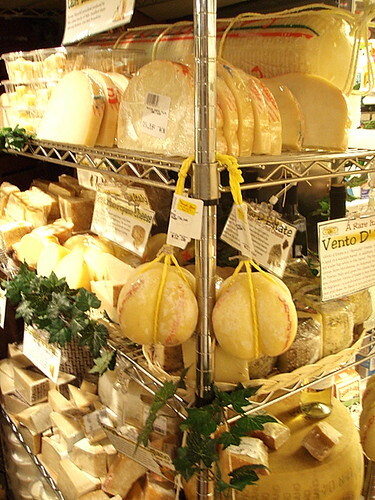 The Cafasso family has been selling gourmet food goods since 1927, and their Fort Lee Fairway Market store has been around since 1962, making it a fourth generation family business. It remains one of the finest food purveyors in all of Northern NJ. 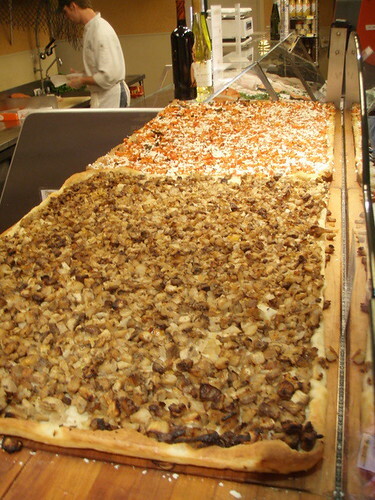 Cafasso’s Fairway Market on Anderson Ave in Fort Lee. 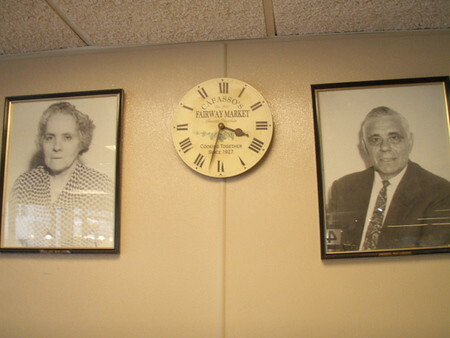 Marianna and Umberto Cafasso, the store’s founders, preside at all times, even if it is just in spirit. You don’t need to wait until 2008 to go to Fairway Market. Click on the “Read the rest of this entry” link below for more. 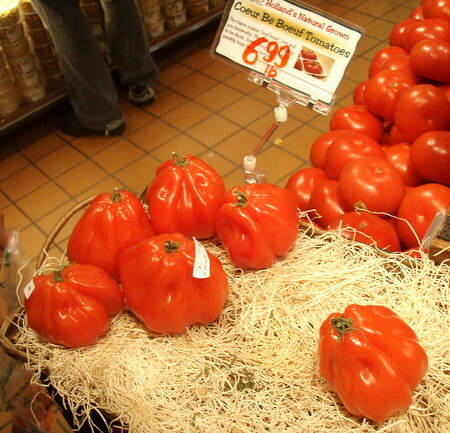 Fairway has some unique items, like these unusual tomatoes. The prices aren’t cheap, but the quality of the goods here are impeccable. The prepared foods section is vast. 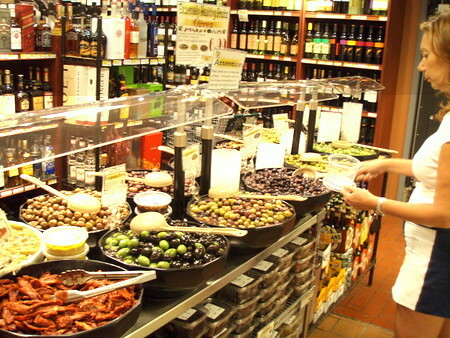 A view of the antipasti/olive bar. This selection of cheeses at this endcap is just the tip of the iceberg. 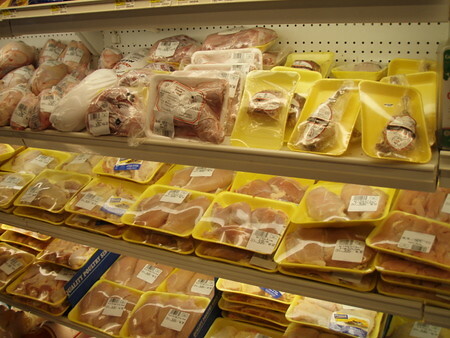 The poultry and meats case. 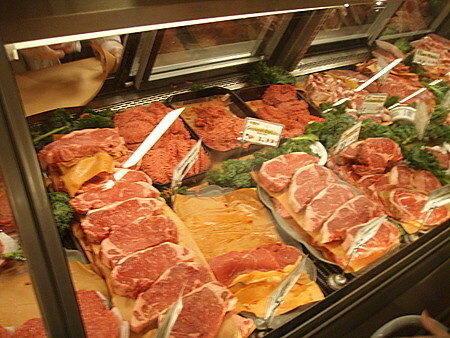 The butchers at Fairway are very friendly and will get you whatever you need. 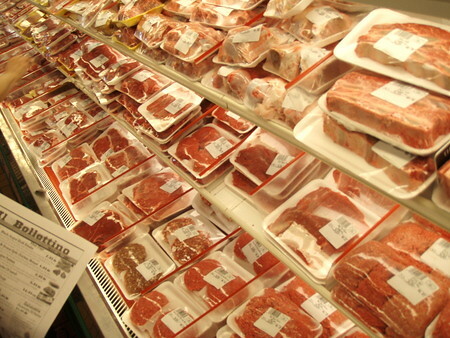 There’s also a lot of great pre-packaged cuts. This is the first time I’ve ever actually seen Nathan’s kosher product — regular supermarkets don’t carry it. 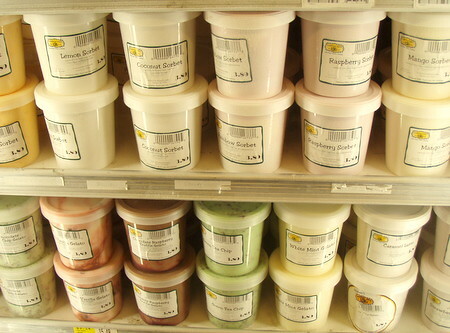 Fairway also carries its own line of Gelato, which is contract manufactured for them by Bertolotti in Fairview, NJ. 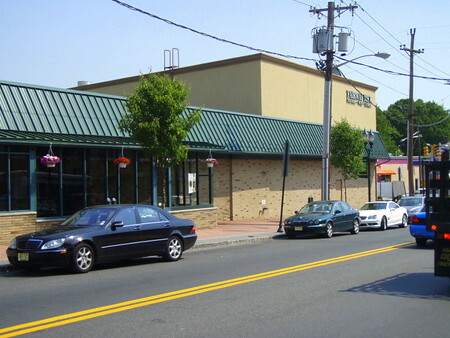 Bertolotti used to have a Gelato parlor in Cliffside Park, which it ran for many years, but it closed it down several years ago to concentrate strictly on manufacturing and commercial accounts. In my opinion its a great product, and Fairview is a great place to get it. This entry was posted on Wednesday, August 8th, 2007 at 12:00 pm and is filed under Food, General, Links, New Jersey. You can follow any responses to this entry through the RSS 2.0 feed. You can leave a response, or trackback from your own site. Looks fantastic. A perfect example of “don’t compete, be unique”. Hilariously, I read a poster on a board elsewhere talking about how these guys were the imposters because… (wait for it) the other guys are more famous! Cafasso’s Fairway has only been in that location since 1962, but they’ve been using some variation of the name for 80 years. It will be interesting to see what happens long term when Fairway NY makes its move to NJ. Market-wise there’s no real competition–Cafasso’s realistically only serves a few towns and has been more threatened by the Whole Foods in Edgewater and the soon-to-be-opened Trader Joe’s. But I wonder if somebody will finally sue somebody else. Somebody named “Fairway Group Acquisition Company” just filed for the trademark as it applies to supermarkets two weeks ago! 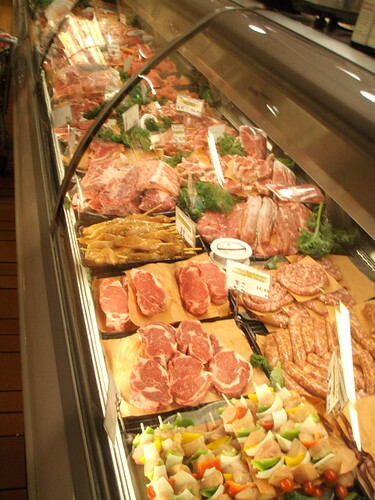 I’ve enjoyed many a fine meal from Cafasso’s Fairway Market, both prepared and home-cooked. The plastic bags carried the corny statement, “Where U-C the finest food,” but it was no exaggeration. A great store that until now hasn’t received the recognition it deserves. Thanks. I shop at Fairway Market whenever I am in the Fort Lee area. 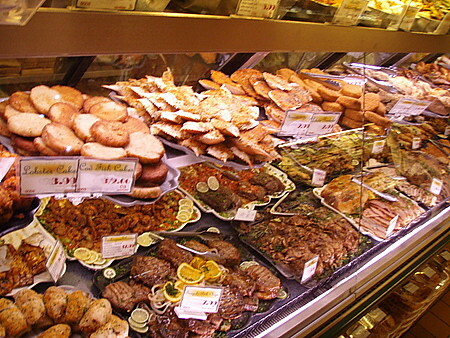 It is an excellent food emporium and the quality of the food and products is excellent. An added bonus for me is the butcher shop and it’s prime meats. The willingness of the staff is what set’s this operation apart from the others. I am not a regular, but every time I am at the butcher or deli counter, the staff always seems to know many of the customers names. This is a sign of excellent customer service and appreciation in my opinion. 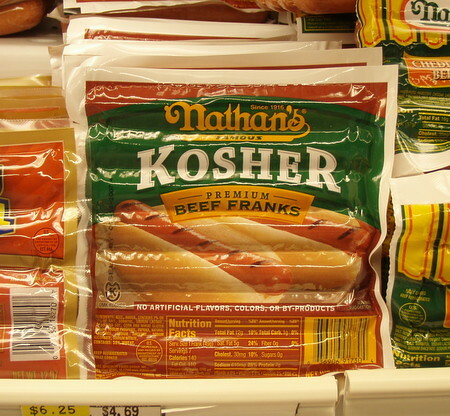 I have been to Whole Foods in Edgewater, but I prefer the personalization at Fairway………….by the way…..my local Pathmark Supermarket in Bergenfield, NJ carries Nathans Kosher Franks for $5.00. It’s not that special of an item. 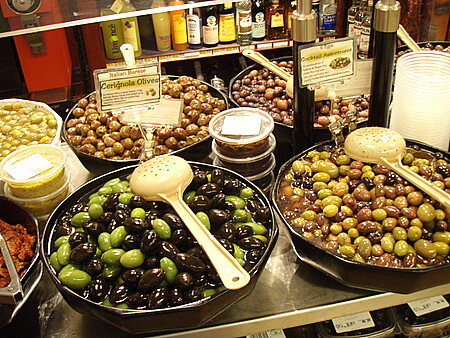 I’ve grown up eating and shopping at Cafasso’s Fairway Market …where incidentally “U-C the finest foods” Umberto Cafasso’s ….get it ? U-C .. i know corny .. but they’re doin somethin right, obviously. Great Food . Great Quality. Give ’em hell! 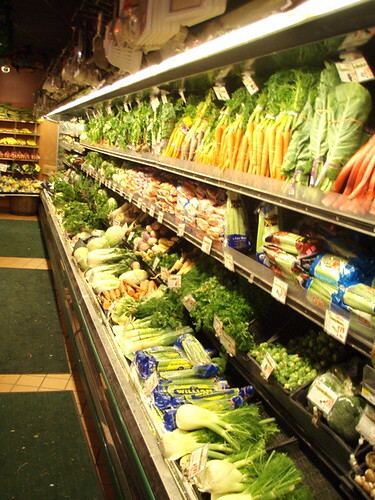 The Fairway in Fort Lee has decent fresh fruits and vegetables, meats, and fish. The imported items are meager. Prices are high given the quality of the items. The bread brought in from NYC bakeries is nice. The owners seem to mistreat their empoyees from casual observation, but I may be wrong. Fairway is great! The food i wonderful, the workers are friendly, and whenever i’m in fort lee, i know where to go. The prices are high, but it is absolutely worth it! I stopped shopping there a few years ago when I bought a few pounds of their prepared meatballs to use for company that night. When I opened the container the odor was nauseating. I asked my husband to return them while I continued preparations. They took them back and apologized, but we might have eaten them when they were still spoiled but didn’t yet reek. And, about the way they treat people; I saw a very polite lady return a 1/2 gallon of orange juice because it was spoiled. They agree that it was undrinkable but said it wasn’t their problem and told her to contact Tropicana.